Ah, the kitchen. It’s the place where you craft your sandwiches, drink cups of delicious coffee, and get the perfect start to your days. 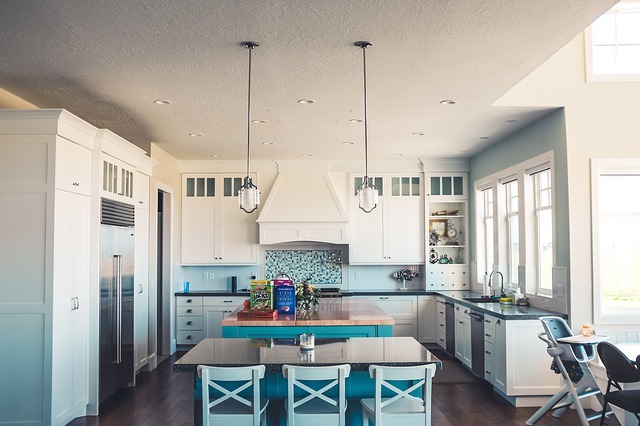 If you’re planning to remodel your kitchen, your mind is probably racing with exciting ideas for all of the updates you’re going to make, but before you make any moves, you need a plan. Here are 4 awesome tips for creating the perfect kitchen. Before you can start thinking about supplies, fixtures, or features, you need to figure out how much you can use for this project. Whenever making a budget, the key is to address the situation holistically. Ask yourself why you’re investing in this remodeling project in the first place and create a list of absolute necessities. These necessities are going to set the tone for your budget. Once you’ve settled on a number that encompasses the things you need, you should pad it out to accommodate for extras, emergencies, and everything in between. Make sure these extras add up to about 15% – 25% beyond your initial figure. You will not want to get half-way through your remodeling project only to run into an issue that you cannot solve. The best kitchens are functional as well as fashionable. So, as you’re thinking about how you want your new kitchen to look, you should make sure to envision cabinets and other clever storage spaces. You’ll want enough space for your food items, kitchen hardware, preparation area, and anything else you usually keep in your kitchen. Some people like to hide their appliances when they’re not using them, so if that’s something you’re into, you’re going to need to think of the space in advance. If you’re spending the time, money, and effort to create an amazing new kitchen, you shouldn’t cut any corners. That means your new refrigerator, toaster oven, or any other hardware should be just as beautiful and functional as the rest of your kitchen. It can be tempting to try and save money in this department, but it’s not worth it in the long run. Though it may be sort of silly to think about, you’re remodeling your kitchen! Have some fun with it. Even if you’re only renewing the space to improve the value of your home, you should make sure that you’re not letting the project overwhelm you. Remember to enjoy yourself. Johnson Lumber is Here to Help! If you’re thinking about remodeling your kitchen, or about any other room in your home, we’re here to help. We have an amazing team of designers who understand every aspect of the kitchen remodeling process, so come by, and let’s chat. This entry was posted on Saturday, March 16th, 2019 at 1:08 am. Both comments and pings are currently closed.